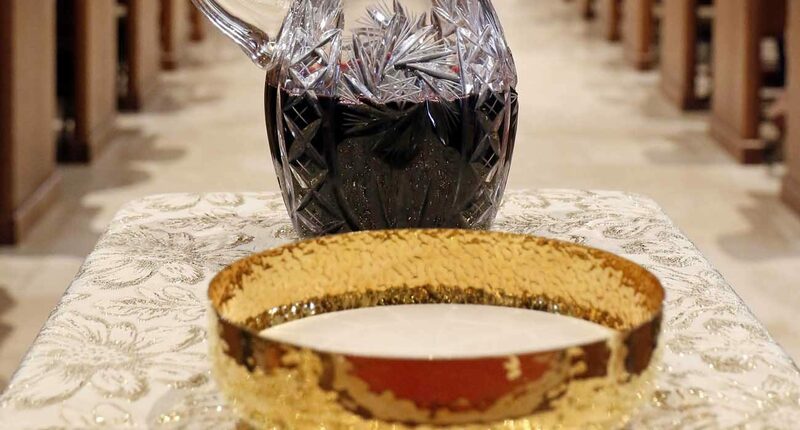 WASHINGTON (CNS) — The Vatican recently published a circular letter, “On the bread and wine for the Eucharist,” sent to diocesan bishops at the request of Pope Francis. Dated June 15 — the feast of the Body and Blood of Christ — the letter was made public by the Vatican July 8. A: The circular letter is addressed to the entire church, to bishops all over the world. Circumstances are very different in various places around the globe, so it’s difficult to know whether the Holy See’s letter is a response to particular problems in certain places. It’s important to note that the letter does not introduce any new teachings or regulations — it simply reminds bishops of their important duty to ensure that the correct materials are used in the celebration of the Mass. We’re fortunate in our country, insofar as it’s not difficult to find bread and wine that are clearly suitable for the Mass. A: The gluten content in low-gluten hosts can vary by producer, but they typically contain less than 0.32 percent gluten. Foods with less than 20 parts per million gluten can be marketed as “gluten-free,” and some low-gluten hosts — while containing enough gluten to satisfy the church’s requirements for Mass — would even fall into that category. The amount of gluten present in low-gluten hosts is considered safe for the vast majority of people with gluten-related health difficulties. Q: I understand other faiths have gluten-free substitutes. With the church’s insistence on the presence of wheat in the Communion wafer, has this caused any problems in ecumenical dialogue? A: No, this has not been an issue in ecumenical dialogue.